Are you looking to have your products hit the market as fast as possible? Do you have a large number of products that you wish to have manufactured? Then welcome to Chinese Rapid Prototype Manufacturing. We do several rapid manufacturing processes such as CNC machining of prototypes, 3D printing, and casting products. We pride ourselves in the quality of our products and the satisfaction of our customers. rapid prototypes in the world today. With CNC production, you as a customer can have a large number of pieces produced each day. And if you wish to have your rapid prototypes manufactured then you should look no further than us. We at Chinese Rapid Prototype manufacturing are dedicated to producing high-quality products for you. At Chinese Rapid Prototype Manufacturing, we have implemented several CNC stations that are well maintained and have a high up time level. We produce products from both metal materials and plastics. The plastic materials that we deal with include; PC, PP, PMMA, PTFE, PBT, POM, ABS, Nylon, PEEK, Nylon +30%, PVC, polypropylene, and others. We also deal with metal materials such as copper, bronze, aluminum, mild steel, brass, zinc, magnesium, stainless steel, metal alloys and many others. We can use other materials such as wood, fiber glass, and foam. Our CNC machines are enabled to do the various machining processes that are required in the industry such as turning, milling, shearing, punching, boring, finishing, shaping, knurling etc. Our system is strategic and therefore products take very few days to be completed. We are also equipped with means of doing other surface treatments methods, such as silk screening, painting, sand blasting, polishing, pad printing, anodizing, plating, laser etching, passivization, power coating etc. As a customer, all you require to have is the 3D CAD files or design document that we will then use to manufacture your products. CNC machining is applicable in producing: electronics parts, automotive parts, marine parts, artifacts and numerous other applications of day-to-day products. At Chinese Rapid Prototype Manufacturing, we also do 3D printing of products. We have with us the latest technology in 3D printing that is very well maintained and highly serviced. The machines, therefore, produce very high-quality end products consistently. 3D printing is different from CNC machining in that products are printed out from the bottom-most part in a 3D space. With 3D printing, internal parts of our customer’s design are therefore easily produced and are of high degree precision just as the external parts. Our 3D printing machine uses several different materials such as ABS plastic, carbonamide, PEBA, composite materials, wax, steel, titanium, silver, PLA, nylon, photopolymers epoxy resins and poly carbonate. All you need as a customer is to have the 3D CAD file from which we just feed to the 3D printer and your products will be produced one after another like faxes in a corporate company or coffee in a coffee store in New York on a cold morning. The application of 3D printing is broad and covers fields such as architecture, medicine, automotive, aeronautical, education and the list goes on and on. rapid prototype manufacturing processes. With casting production, products acquire special qualities such as the equal weight of all products, similar sizes across the products and very smooth surface finishes. Casting production can be done using materials such as zinc, copper, aluminum, magnesium, pewter, tin alloys, and lead. It involves melting the material and pouring it into a designed mold which is then pressurized. Once the material has cooled then it is ejected from the casting as the product which then is finished. 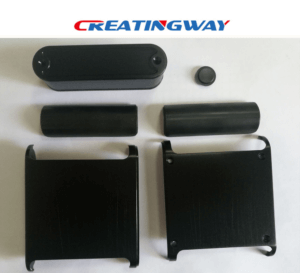 Once the customer has contacted us and provided us with the desired final product, we will then begin designing and producing the molding to be used. Once the die casting tool is finished, we will then inform you as the customer of the processes of the production until the all the final products are produced. Cast products are applicable in most production processes that require a high-volume of components. Examples of such industries are; automotive, power tool, aerospace, and plant industries.